Hi everyone, I go by the handle lauqe. I am a Coaching Support member of Learnings Fives, an educational League of Legends Discord partnered with Mobalytics, and a Diamond player who used to one-trick Miss Fortune. Playing such a simple champion really made me want to see if I could make some interesting plays using Flash alongside my Q ability, Double Up. The ability functions in a similar way to Vayne’s Condemn and although it didn’t work like I thought it would it got me thinking why didn’t it work, and what makes it different. This interaction is what led me to try out and understand how Flash canceling works. Lee Sin’s kick Flash, Annie’s Tibbers Flash, Vayne’s Condemn Flash, Shen’s Taunt Flash…the list goes on. There are so many cool and useful interactions in League when you look into utilizing Flash as a part of your combos. Are these interactions consistent? How can we tell if a new champion will be able to perform an ability flash combo (“Flash canceling”) and will we know what will happen? These are the questions and topics we’ll be exploring in this guide. Why would you Flash cancel rather than Flash followed by an ability? There are multiple reasons for doing so, each with their own benefit. The main reasons are to reduce counterplay or to surprise the opponent with an unexpected interaction. Using Flash canceling can change the direction of skillshots and reduces the amount of time inside of an enemy’s range as well as how long they have to react to an ability. These interactions are consistent and it is predictable what type of interaction it will be based on the ability which the player is using to Flash cancel. In this case, the cast location is set upon clicking the ability and to the location where the ability will travel towards. However, the location the ability comes out from is determined by the character’s location and the direction by the character location in relation to the set ability. These abilities utilize the character model as a center point for the hitbox and travel a distance before reaching their destination. While the ability is in effect, the player is able to Flash at any point. While this will cancel the remainder of the ability, the exact location of the Flash will be final center point for the hitbox of the ability based on the ability’s hitbox. These abilities, when cast on a location out of range, will path the character into range and will only cast when they are within range. These abilities are buffered by first using the ability on a location and then flashing into range, saving the time of issuing the ability post-Flash. With that being said, there is also a bad side to using this Flash canceling interaction. If the player would issue a command and Flash but still be out of range, their champ will not move into range and will instead stop moving effectively wasting Flash for no benefit. Therefore, the player must have enough knowledge of ranges to properly utilize this interaction. Targeted abilities, when cast on a target out of range, will path the character into range and will only cast when they are within their range. These abilities function very similarly to AoE abilities which are limited by cast range. Similarly, when buffered they will be able to instantly be used upon flashing into the range of the target. Unlike AoE abilities with cast ranges, targeted abilities will not stop the player permanently when cast outside of range of the target. However, they will stop for a short time and then resume chasing. This stop in movement is very detrimental though and is effectively as bad as stopping completely. In the case of cast range abilities, the player should be clicking towards whatever destination they want immediately after issuing the Flash command as the character will have already thrown out their ability on the first available frame if in range and able. If they aren’t in range or unable, then there will not be the negative consequence of messing up the combo. There are a number of instances of inconsistency regarding our rules. However, most of these stem from differently coded abilities and if a champion with a similar ability to the ones described here would be released it would almost definitely work in a similar way. Both of these abilities share some similarity to Vayne’s Condemn and Lee Sin’ kick. However, what differs these abilities from the others is that they are both auto-attack abilities as such once the animation has begun its effects have already been determined. In the case of Miss Fortune’s Double Up, the direction has already been determined the moment the animation has begun. Similarly, Hecarim’s Devastating Charge has its push direction determined the moment the animation has begun and will push them in that direction regardless if the target uses a movement ability, or until the Hecarim’s movement is stopped with abilities like Veigar’s Event Horizon [E] or Jinx’s Flame Chompers [E]. These champions have cast times which completely disallow movement commands. The defining trait is that at some point in the cast time of an ability (not all abilities will lock the player out from the very beginning). The Flash icon will not be activatable this is indicated by the ability being darkened and a red X appearing on the ability icon. 1. Those who will buffer Flash and use it post ability. Abilities such as Blitzcrank’s Rocket Grab [Q], Zac’s Elastic Slingshot [E], and Malphite’s Unstoppable Force [R] have abilities which will only complete upon reaching the destination in the case of AoE abilities, or hitting a target with hook abilities. These champions are unable to Flash during the ability but will buffer it. 2. Those who won’t buffer Flash. Abilities such as Warwick’s Infinite Duress [R], Galio Justice Punch [E], Urgot Disdain [E] have contact type abilities however the ability may not be flash canceled. These champions have hitboxes for their entire dash but won’t buffer flash, they also will not continue any movement commands which were issued before the ability or during. The main difference between these two interactions is the ability type, the first interaction is abilities which in the case of hook champions keep the target stationary or require the character to reach their final destination in the case of AoE abilities, however, the second interaction is all contact abilities which the player cannot Flash cancel. As shown in the earlier video, Cassiopeia Petrifying Gaze [R] used to work in a way which prioritized the Flash direction, redirecting whichever way the ability was cast originally in favor of the direction Cassiopeia flashed towards. Riot has since changed the ability however it still doesn’t act in line with other abilities of similar expectancy. The current interaction uses the cast direction rather than its exact point where it was clicked. These champions often have dash type abilities, however, unlike champions with contact ability hitboxes, these champions have a specific target or location and will only deal the damage when they reach the target or destination. Target destination champions are can cast Flash while in the animation of their abilities. 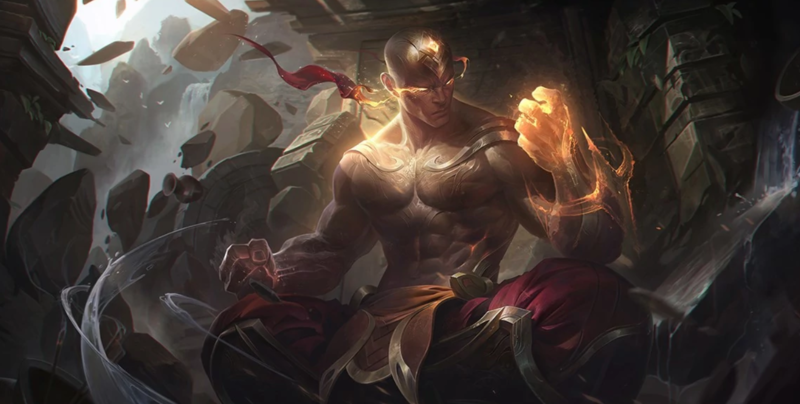 When flashing during the animation, these champions will cancel the rest of their ability without doing any of the added effects whether it be damage or crowd control. Abilities that fit this description are Kha’Zix Leap [E], Xin Zhao Audacious Charge [E], Lee Sin Resonating Strike [Q]. What separates these champions from similar ones are that their abilities can be Flash canceled and are not dependant on the first target hit but rather a set target or location. Kassadin’s Force Pulse [E] Flash works exactly the same as a regular cast time ability works, however, its animation is completely separate from where the ability actually hits. The interaction is completely in line with something like Syndra however the time at which the animation plays is different giving a disorienting effect similar to how old Cassiopeia worked. While not an ability, the use of right-clicking an enemy and flashing into range is quite useful as it will start an auto-attack the moment the player is in the range. This saves the player from issuing an incorrect auto-attack command or missing an auto-attack if not using attack move. The interaction would normally be exactly like a cast range interaction (#3 in our list). What separates auto-attacks from abilities is that when Flash is cast while the player is still outside of auto-attack range, their character will move into range and begin auto-attacking instead of stopping all movement like area placement abilities. Will these interactions instantly make you an incredibly good player? Not necessarily, however, having these in your repertoire can greatly increase your chances of making the correct play at the correct time. All plays in League of Legends are situational, however, having the option to pick and choose a certain play for a certain situation and knowing which one will be best is one of the most important factors in separating a good play and player from a great one. Thanks for the awesome guest post Lauqe! Check out the Learning 5’s community on Discord, they align with our goal of helping gamers improve and achieve their best in League of Legends. Diamond ADC, Miss Fortune on the Rift. Learning Fives players will learn the best picks, teach teamwork and speech to keep them in the know, tactics and logic will make the team grow.